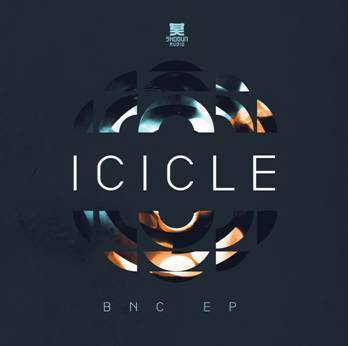 Having honed his 140BPM skills to an exact science, Shogun get ready to showcase Icicle’s first full dubstep 'BNC' EP that’s sure to please the hoards of electronic music aficionados around the world. With all but one of the tracks featuring on his upcoming ‘Rinse:19’ mix album, this is yet another essential slice of Icice for the collection. With heavy DJ support throughout the scene, ‘Acid Step’ has been burning dance floors for many months now. It has stabbing riff intros amongst some creeping pads before it rolls into a heady mix of super low end and sparse but deadly drums. The title track ‘BNC’ ups the pressure a little with a more jacking groove designed to make you move. Syncopated rhythms and off-kilter percussion rule here as Icicle gets well and truly into the zone. The curiously titled ‘Need A Job’ takes things tougher as a thick kick and bass combo smash the speakers hard while distant vox and percussion take turns in leading the way. Finishing off is ‘Together In The Dust’, it’s undiluted, space-aged dubstep that fans and producers alike would do well to abide by. Out 21st May.